What could have been? 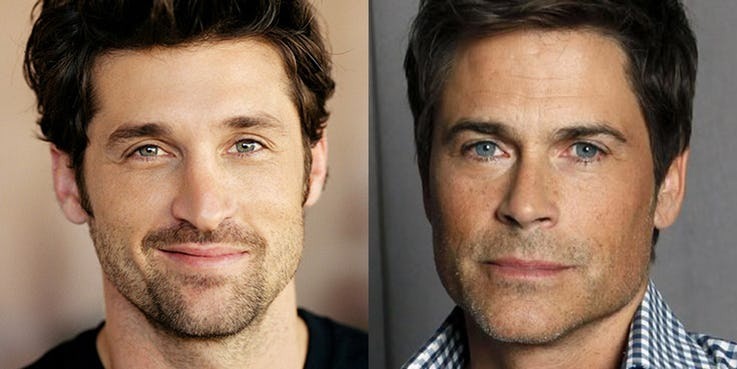 Grey’s Anatomy almost cast a completely different McDreamy. When you are too attached with your favorite movie character and you feel virtually connected to them. We all share this transcendental feeling with some of the very important shows in our lifetime. You get annoyed, pissed off and sometimes even find yourself in the argument if someone insults them in front of us. As for the McDreamy admirers and viewers from the American drama show Grey's Anatomy - Patrick Dempsey as 'Dr. Derek Shepard' has one way or another got us a little distant from the show. Well, interestingly a replacement actor was hired for the role of the iconic McDreamy role, who recently admitted that he 'lost out on $70m for turning the part down'. The actor is no other than The outsider's star Rob Lowe, 55, who shared furthermore details regarding how he could have played Ellen Pompeo's love interest in the long-time running medical drama. "I think after a certain period of time, no matter how much money you make, you want to control out of your own schedule. It had been long enough. It was time for me to move on with other things and other interests. I probably should have moved on a couple of years earlier. I stayed a bit longer than I should have." Grey's Anatomy is one of the best medial soaps in the TV series. However, the show is being canceled from the renowned broadcasting channel Netflix and likely going to be part of the upcoming streaming site by Disney. So, guys what do you think about the ABC's longest-running drama series with record-breaking 15th season new casts and new character replacements?